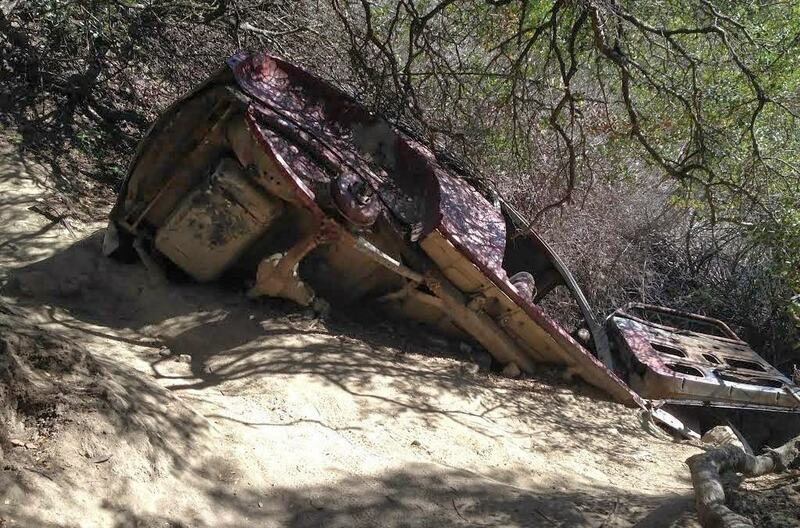 Deeply buried in the heart of Aliso Viejo Wood Canyon’s hiking trails is an infamous “Car Wreck.” Dating back several decades, the remnants of the car crash emerge from layers of the trail and are an eery site in the serene wilderness. It’s a mystery to the community about how the car ended up there, since there are no paved trails within a several mile radius of the car. The wreck is sheltered underneath some dense overgrown foliage that extends into a creek at the canyon’s base. It’s worth visiting if you enjoy Southern California hikes. If only the axle could screech! 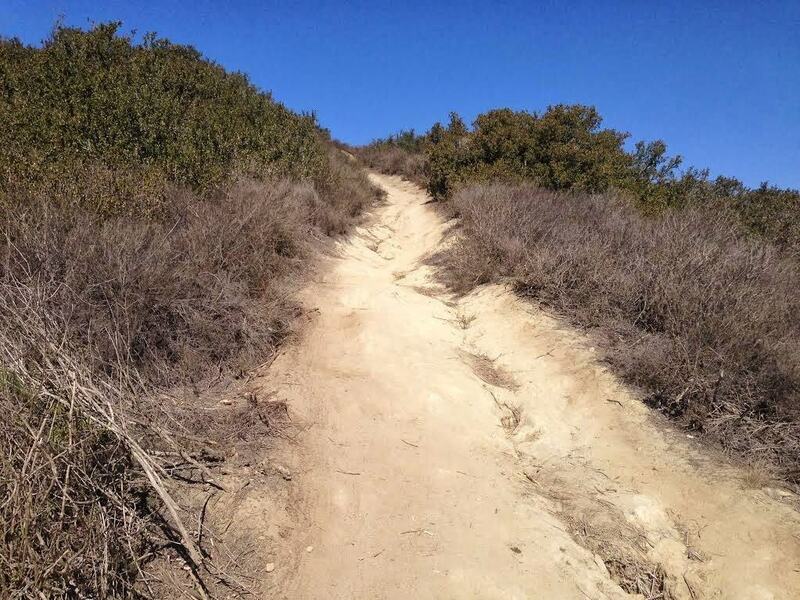 The Car Wreck Trail is accessible to hikers from both Laguna Beach and Aliso Viejo. 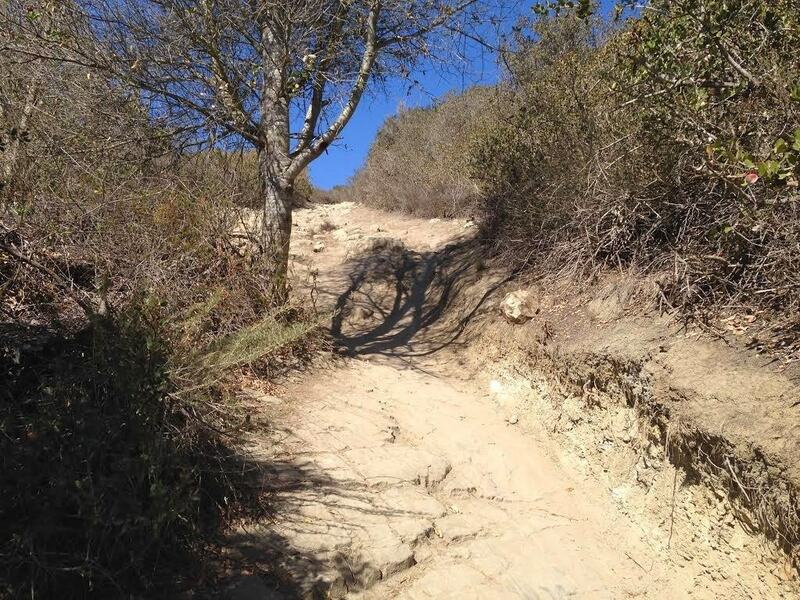 The Laguna Beach trial section is shorter (about 3-4 miles round trip), but much steeper. The Aliso Viejo Canyon Trail section is longer (about 6-7 miles round trip), but pretty flat. Depending on your fitness level and hiking experience, both trails can be use to venture to the wreck. However, if you are new to hiking or a “Barry-the-Bear” type of hiker, we recommend keeping to the flat lands starting from Aliso Viejo. 3-8 miles (round trip). There are two starting options (Aliso Viejo and Alta Laguna in Aliso Viejo, see map below). Take the 1-5 S to Alicia Pkwy in Laguna Hills. Take the Alicia Pwky ext from 1-5 South exit from 1-5 South. Drive to Pacific Park Dr.
Take the 1-5 N to Aliso Creek Rd in Aliso Viejo. Turn left onto Pacific Park Dr. There are street options available at both locations. Use your best discretion when parking in the street and follow the street signs. 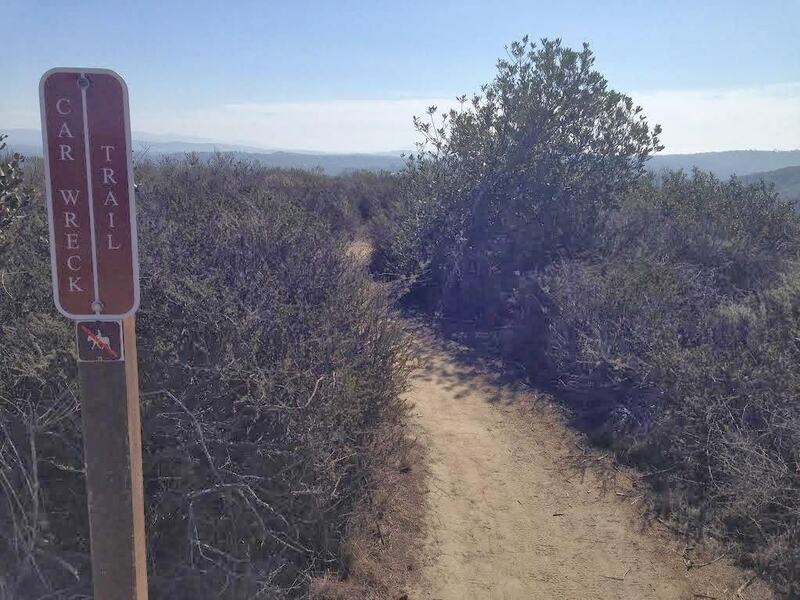 Fall & Spring: One of the best times to explore the Car Wreck Trail in Aliso Viejo is during the Fall and Spring Seasons. It’s typically less crowded during this seasons and the trail can sometimes be more visible due to scheduled maintenance. 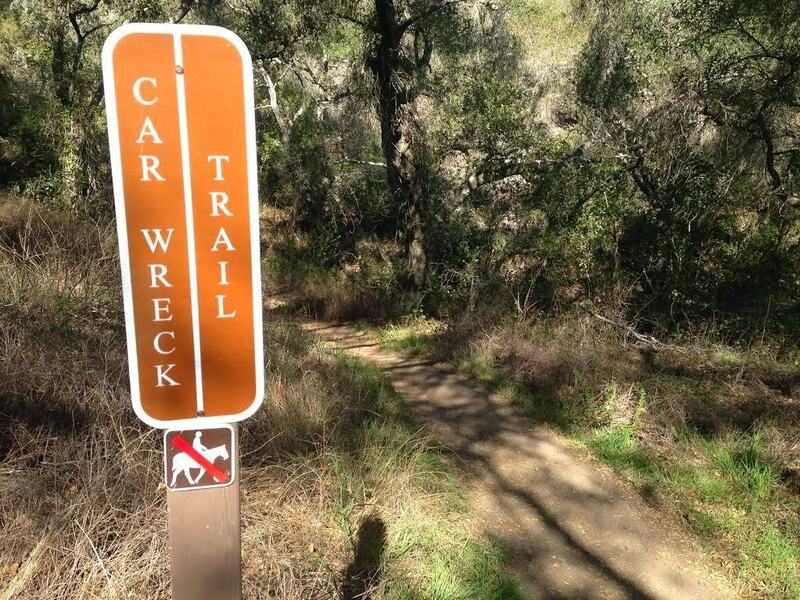 Summer & Winter: It’s possible to explore the Car Wreck Hiking trail at all times of the year. However, if you venture during the Summer and Winter, use caution. It can be hot and crowded during the summer months and occasionally wet during the winter rain months. No, dogs are not permitted Aliso Woods Canyon trail area. Only licensed service dogs. 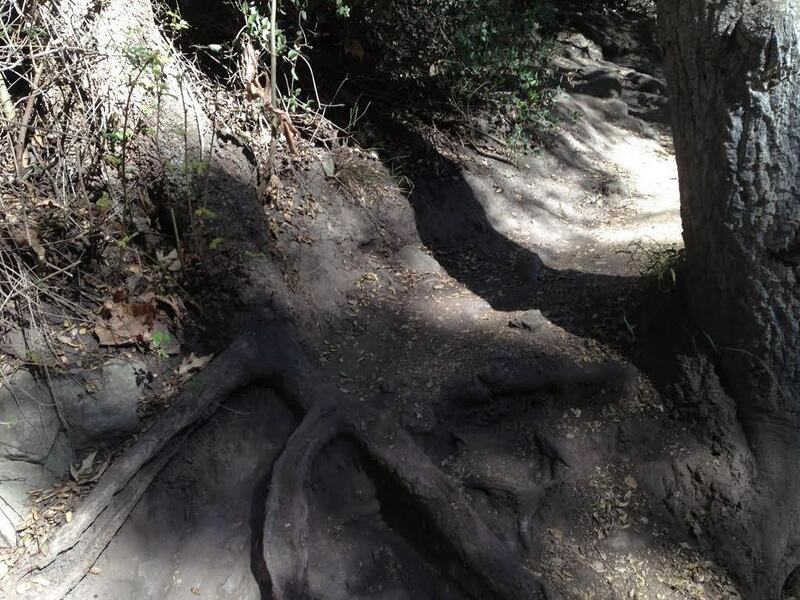 Have you explored the Aliso Woods & Canyon Hiking Trails? What’s your favorite Laguna Beach hike? Share your hiking adventures with a comment below!